Vermont Smoke & Cure (South Barre, VT) creates a variety of smoked meats and snacks. With an emphasis on natural and local ingredients, Vermont Smoke and Cure produces top quality meats with no fillers or artificial preservatives. Their meat products use high quality, antibiotic free pork and beef that goes above and beyond industry standards. Vermont Smoke & Cure produces a full line of bacon, sausages and hams, but it was their "Real Sticks" meat snacks that caught my eye. Real Sticks are packaged in individually wrapped 1 oz. portions (24 per box). 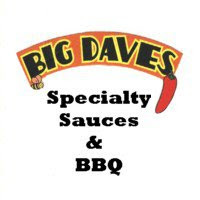 They are currently available in two flavors: BBQ and Cracked Pepper. I found Vermont Smoke & Cure's Real Sticks to be very well seasoned. I also enjoyed the consistency of each stick. I didn't need to rip or tear to bite into it. The texture seemed more to me like a frank or stadium sausage than a typical cured meat snack. I've had a hard time deciding which flavor I like best. I've solicited opinions from several friends and co-workers. The consensus favorite among them seemed to be the BBQ flavor. Were I forced to choose one, I'd probably lean toward the Cracked Pepper, but I don't think you could go wrong either way. 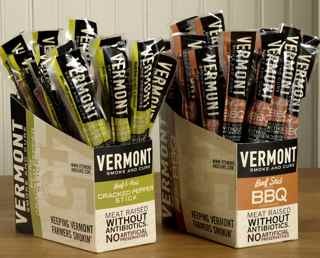 Real Sticks and other Vermont Smoke and Cure products can be purchased directly from their website. If you're a fan of quality meat snacks, I definitely recommend checking them out. Don't forget to see how I rated Real Sticks on our "Product Reviews" page. 1 Response to "Vermont Smoke and Cure Real Sticks"